The global property consultancy, headquartered in London, released its 13th edition of The Wealth Report on Wednesday. According to the City Wealth Index, which forms part of the Wealth Report, London ranks tops overall, followed by New York, Hong Kong, Singapore and Los Angeles. London also ranks tops on the wealth sub-index and the lifestyle sub-index, while New York came tops in the investment sub-index. 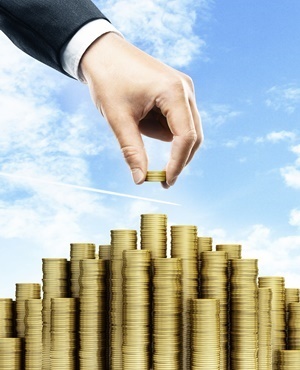 The report found that London has the largest number of so-called ultra high-networth individuals (those with net assets of $30m - about R424m - or more), namely 4 944 - an increase of 582 over the past five years. New York has the highest concentration of dollar billionaires (94). The report also found noticeable growth on the City Wealth Index among Asian cities. Six of the top 10 spots in the wealth sub-index went to Asian cities, for instance. North American cities occupy six of the top-10 spots as far as private investment in cities goes. The report further names what it considers to be the cities of the future based on factors that will support wealth creation and therefore likely targets for future property investment. These include Bengaluru in India, Hangzhou in China, Stockholm in Sweden, Cambridge in the UK and Boston in the US. As for the luxury residential market, the Knight Frank Prime International Residential Index grew at its lowest rate of annual growth since 2012. "This decline comes as little surprise. As we learn to live without the ultra-low interest rates that have supercharged real estate markets globally since 2008 (1.3%), lower price growth is an inevitable consequence of the shift in monetary policy," states the report. It found that European cities are still performing strongly, while cities across Greater China continue to slide down the rankings. "Also, despite their economic woes, several key Latin American cities saw prime prices increase, while similarly challenged luxury markets in Turkey are seeing sharp reversals of value," states the report. Cape Town, for instance, ranks at 28 on the list of luxury residential market performance between December 2017 and December 2018. Malina tops the list followed by Edinburgh, Berlin and Munich. The report expects the prime residential market in Cape Town to still perform well in 2019. It is described as one of the increasingly popular investment hubs for European and global investors. According to Richard Hardie, CEO of Knight Frank in SA, people are still taking advantage of the exchange rate to buy prime property in Cape Town. He pointed out that, in dollar terms, prime property in Cape Town offers the second most value in terms of what you pay per square metre for prime property globally. Prime property in Sao Paulo, Brazil, offers the most value per square metre. "SA still offers the wealthy of the world good value. Along with key European cities, Cape Town is still expected to attract more of these wealthy buyers," said Hardie.